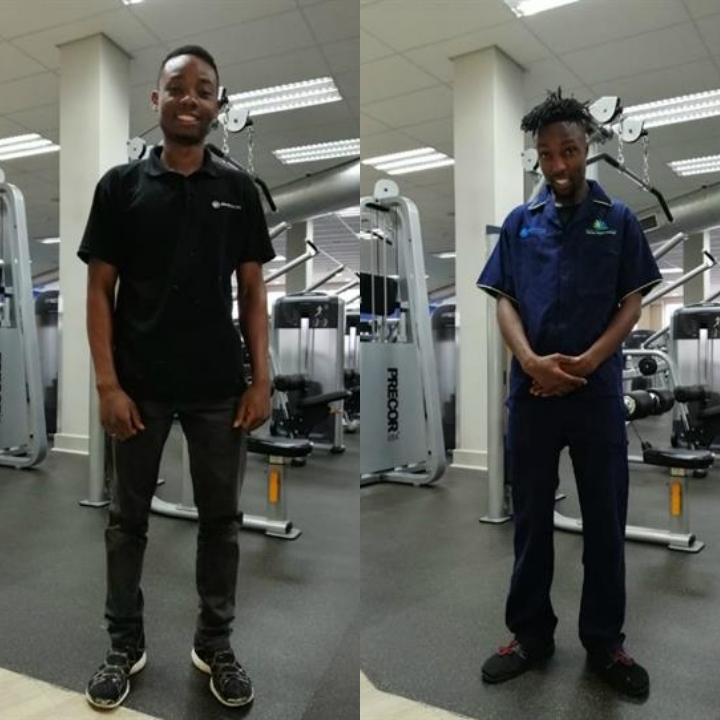 Karabo Thosago and Brandon Murigagumbo, the two gym employees who rescued a swimmer from been drown in a Johannesburg gym pool last week will be honoured for their brave and heroic actions in a special ceremony. Brandon Murigagumbo and Karabo Thosago. Gareth Utton the swimmer was swimming laps at Planet Fitness in Craighall Park on April 3 when he lost consciousness and slipped underwater. Fortunately for him, Karabo Thosago, a contract cleaner, was nearby who jumped immediately into rescue him within seconds. He was quickly joined and assisted by Brandon Murigagumbo, a member of the gym's maintenance team, and with the joint efforts from several others, they managed to get Utton out of the water. Immediately he was taken to hospital and has made a full recovery. "We feel that Karabo and his fellow workers really went out of their way. If they were a second or two later, then this member wouldn't have made it. In appreciation, we have decided to reward the both and show people we are really grateful..." "Karabo isn't even a swimmer and without hesitating, he jumped in the pool clothes and all," he said.